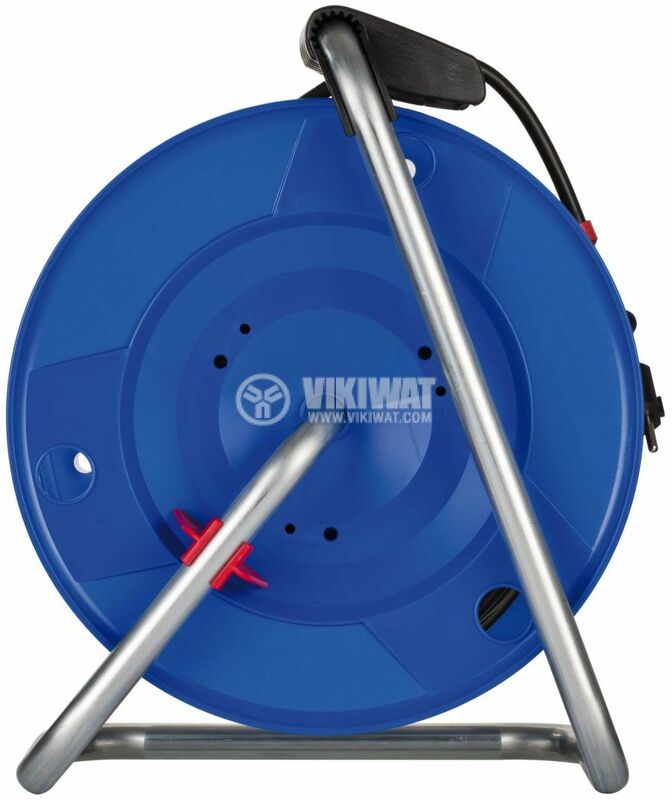 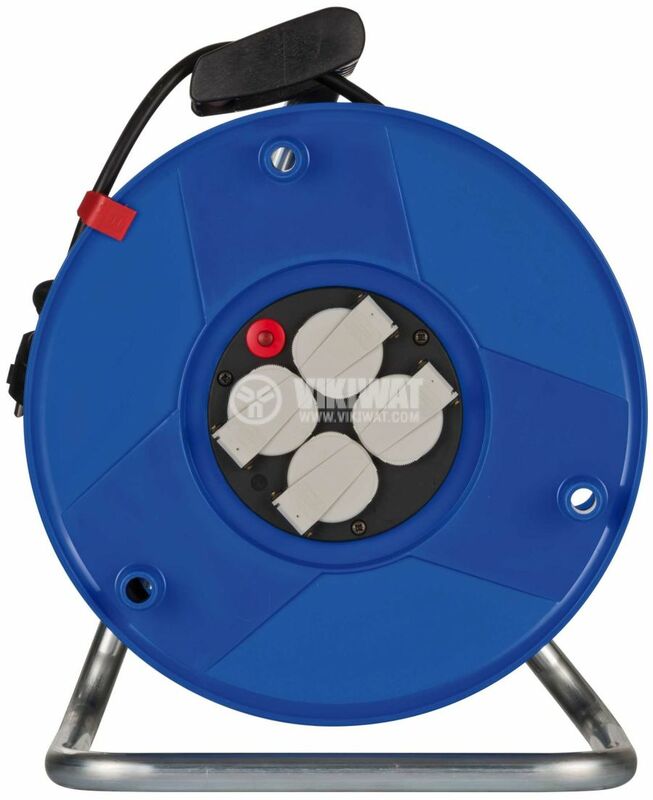 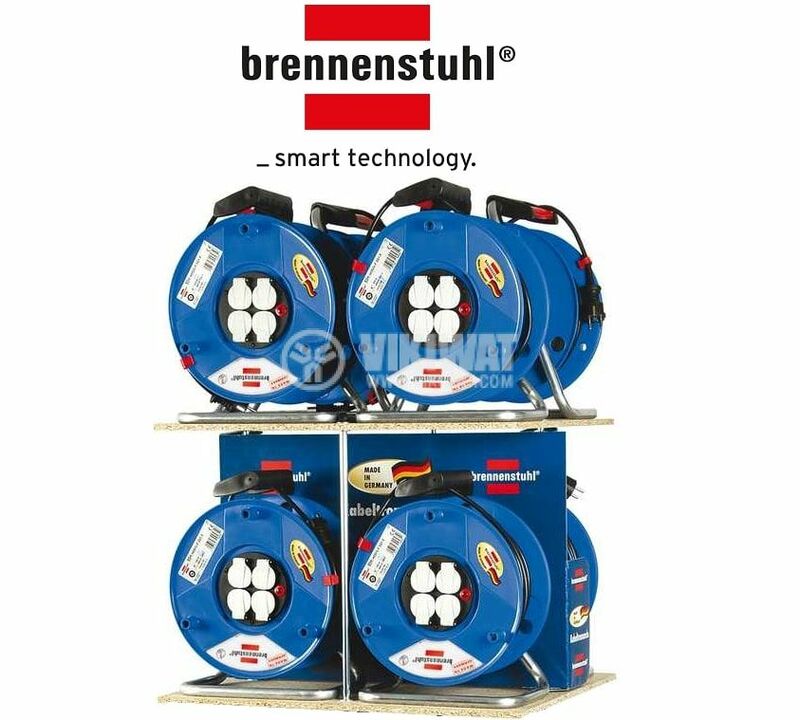 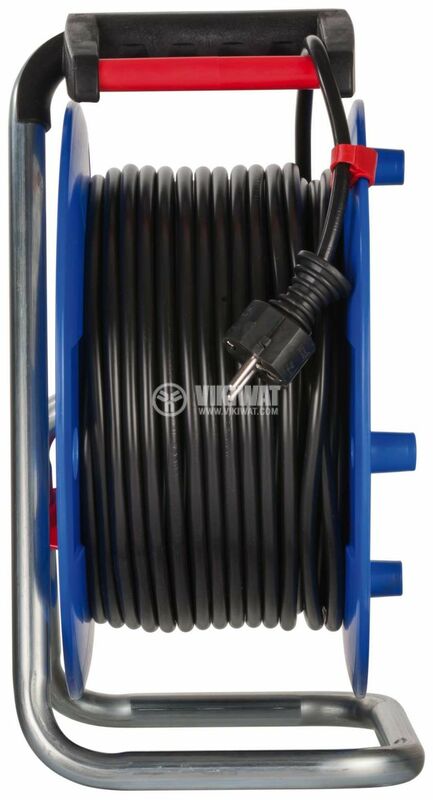 Garant® cable reel from german brand Brennenstuhl with 4 schuko earthed sockets and 50m cable length (3x1.5 mm2). 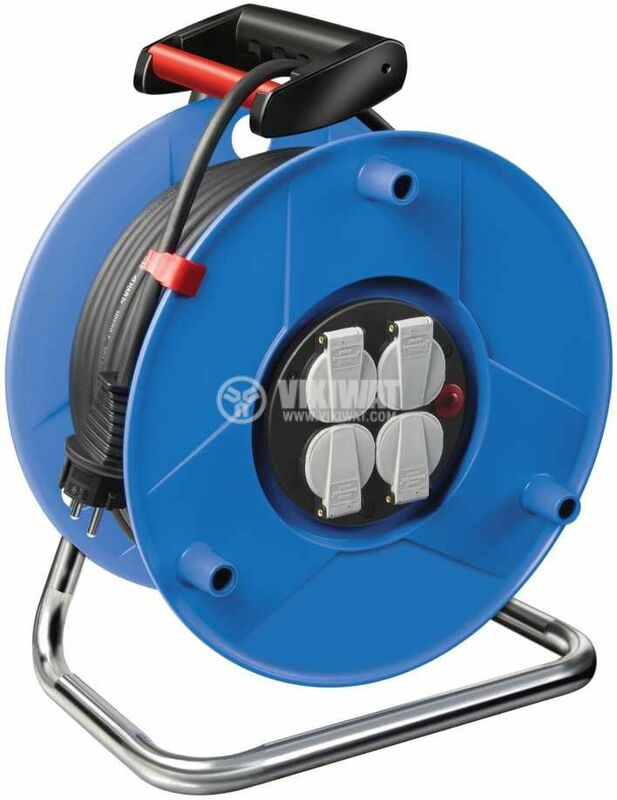 H05VV-F 3G1.5, Suitable for normal use in dry conditions IP20. 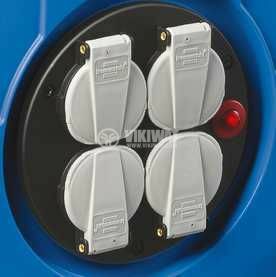 4 earthed sockets with self-closing covers.